Volunteers are at the heart of all we do here at Open Land Conservancy. 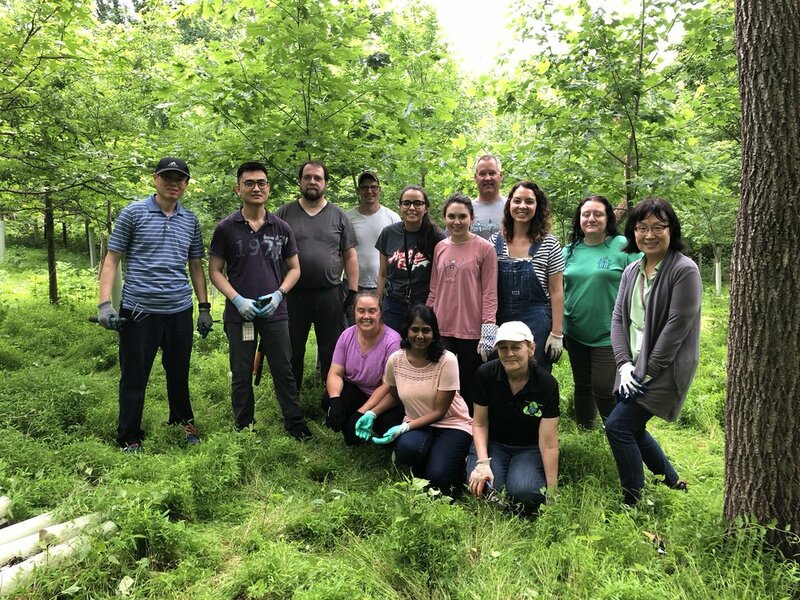 We sincerely appreciate the help from local residents, student organizations, clubs, and community-minded Great Valley companies that sponsor outdoor group events for tree planting days and other Preserve projects. Tree planting, trail maintenance, vine cutting, mowing, invasive control, stream clean-up, photography, social media, fundraising, office work, OLC Gatehouse HQ maintenance --- Our volunteers do it all and we love all that they do! Besides scheduled volunteer events, we frequently have ad hoc activities such as cleaning up from storms and fallen tree branches, tree planting and other Conservancy projects. If you have some time to spare and would like to help with a volunteer project on short notice, we’d love to hear from you. We’ll add to you our special email list and send you a note when we need emergency help. 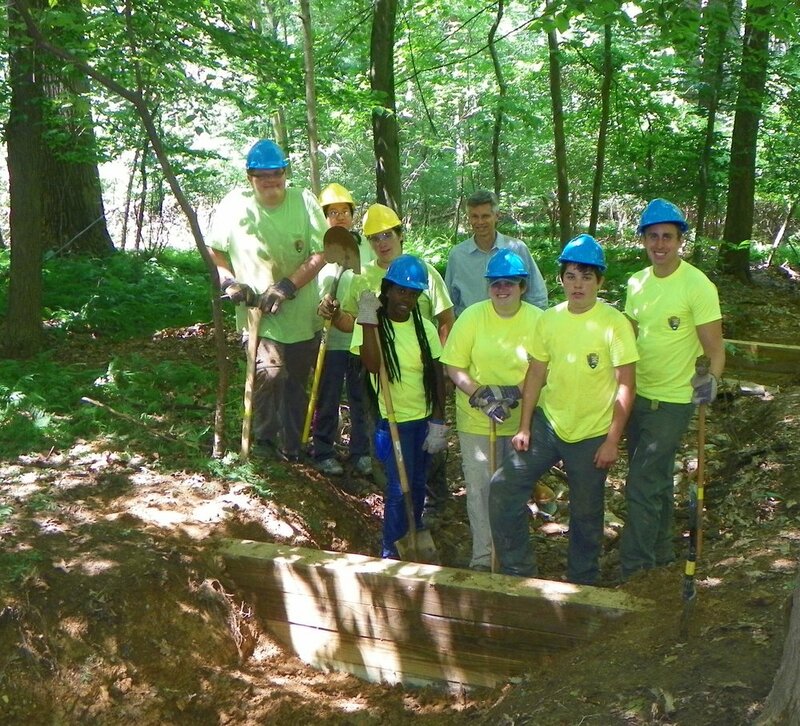 If you are a scout or student looking for a project or internship, consider Open Land Conservancy. Over the years, scouts have been active in building kiosks and bridges, and helped with creating new walking trails. For students who like getting their hands dirty working outdoors, an internship structured around your interests can be a rewarding learning experience. You don’t need to have any past experience, but we promise you will enjoy yourself and feel good about your contribution to maintaining our beautiful Preserves and improving the natural habitat. Check out our upcoming events where volunteers are needed or complete the Contact form below to express interest. Handyperson – carpentry, painting, etc. Office assistance – scanning, mailings, etc.